Hi, thanks, I've known about Internet Archive for years as a way of looking back on websites but I had absolutely no idea that they had also stored music and the spoken word amongst other things. Very useful!! Yet again Boz I find myself murmuring how awesome your posts are. Hi, thanks, I've known about Internet Archive for years as a way of … Hi, thanks, I've known about Internet Archive for years as a way of looking back on websites but I had absolutely no idea that they had also stored music and the spoken word amongst other things. Very useful!! *I'm on a Colin Blunstone kick at the moment, just love his voice, nothing like it out there. 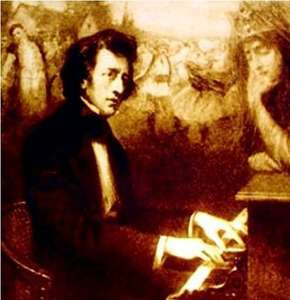 Chopin - sometimes you have to just go back and listen to one of the … Chopin - sometimes you have to just go back and listen to one of the masters. Brilliant post as usual Boz. :p*I'm on a Colin Blunstone kick at the moment, just love his voice, nothing like it out there.